Last year was a tumultuous one for Canadian real estate, culminating in one of the slowest Decembers on recent record for sales activity. According to the latest analysis from the Canadian Real Estate Association, the number of homes changing hands came in 12% below the 10-year average, and a whopping 19% below year-over-year activity. Sales also softened on a monthly basis by 2.5%, though this is largely due to the typical seasonal holiday slowdown. While the number of sales varied across the nation, three quarters of all local markets experienced a downturn, especially in British Columbia’s Lower Mainland, Okanagan Valley, as well as Calgary and Edmonton. Slower activity was also recorded in the Greater Golden Horseshoe markets, particularly the Greater Toronto Area and in Hamilton-Burlington. That’s effectively trickled down into home prices, which CREA says fell 4.9% from December 2018, to an average of $472,000. Removing the nation’s two largest markets—Toronto and Vancouver—from the equation, however, reduces that average to just $375,000. 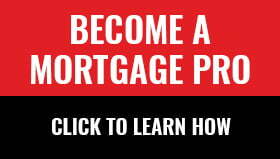 It should come as no surprise that CREA attributes this slowdown to the federal mortgage rules put in place in January of last year – the association has pointed to the chilling effect these tougher qualification requirements have had on the market throughout 2018, especially as their effects were compounded with an overall rising interest rate environment mandated by the Bank of Canada. That impact won’t ease this year, say its analysts, as borrowers will continue to struggle to satisfy stiffer lending criteria. One silver lining of a slower market is that buyers will generally have an easier time, especially as the number of new listings increased slightly (0.2%) in December. That has pushed the national sales-to-new-listings ratio to 53.3%, well within balanced territory and in line with the long term average of 53.5%. This ratio, which is calculated by dividing the number of sales by the number of new listings over the course of the month, effectively gauges the level of buyer competition in the market; a ratio between 40 and 60% indicates a balanced buying environment, while below and above that threshold indicate buyers’ and sellers’ markets, respectively. The overall level of inventory—the length of time it would take to completely sell off all available real estate for sale—was measured at 5.6 months, which is just a tad higher than the long-term average of 5.3. However, it should be noted that conditions swing widely in individual markets; while Ontario and some Eastern housing markets are working through historically low inventory, adding to the risk of a re-heating market, urban centres in Western Canada, and especially the Prairies, are struggling with excessive inventory and a classic supply-demand imbalance. What’s in Store for This Year’s Market? It remains to be seen how the 2019 market will shape up—while it was initially expected that the Bank of Canada would continue to hike interest rates, tighter monetary policy has been temporarily put on hold due to global trade risks and challenges in the oil patch. That will provide some brief respite for those applying for a variable mortgage, and keep the benchmark used to stress test borrowers at status quo for the time being. As the early spring market is just around the corner, real estate watchers are keeping a keen eye to see if this materializes in a buying rush, while comparatively lower rates are still a possibility. Penelope Graham is the Managing Editor of Zoocasa.com, a real estate website that combines online search tools and a full-service brokerage to let Canadians purchase or sell their homes faster, easier and more successfully across the nation and Greater Golden Horseshoe, including Burlington homes for sale and Oakville homes for sale. Home buyers and sellers can browse listings on the site, or with Zoocasa’s free iOs app.